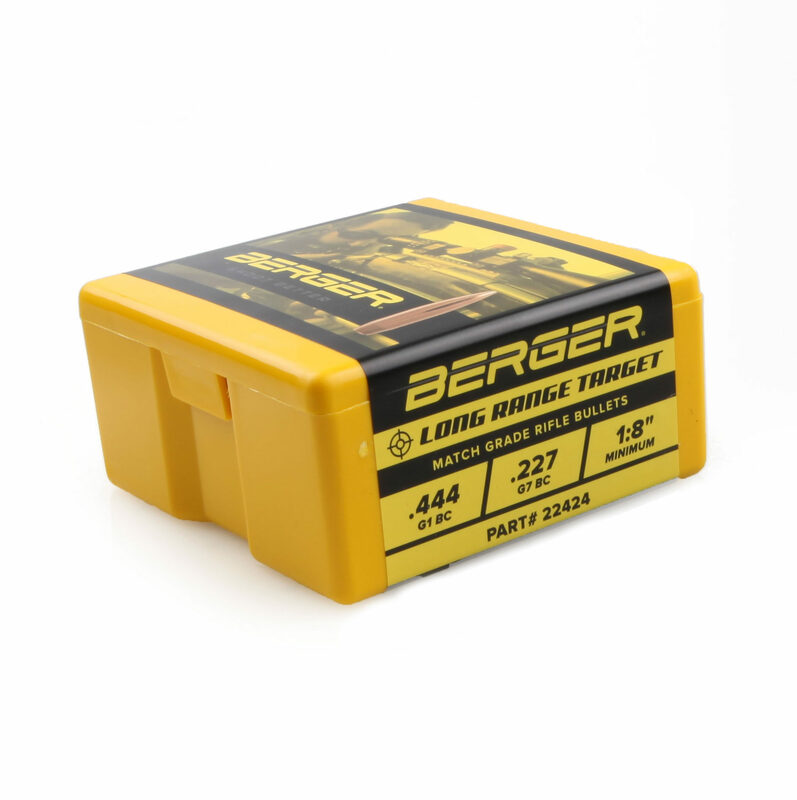 Recently we began selling Berger Bullets because we truly believe they are one of the best bullets on the market today. They are also the most popular bullet among competition shooters. According to PrecisionRifleBlog.com, shooters last year were 10 times more likely to shoot Berger Bullets then any other brand and 79% of hand loaders chose Berger Bullets. In 1955 Walt Berger began making rifle bullets, he believed he could make bullets better and more accurate than what was available at the time. He was an avid benchrest competition shooter (and still is), a sport that requires an extreme level of precision in all components of the gun. After time, Walt and his wife Eunice grew the business into the precision rifle bullet making operation you know today. In the year 2000 Berger Bullets merged with Spiveco Inc., who were supposed to provide additional resources for Berger Bullets but they ended up shutting down and liquidating all their assets within a few years. Around 2004 the Berger Bullets team began to retain its reputation as the gold standard for rifle bullet manufacturing. Today Berger Bullets continues to grow in Fullterton, CA. To see the full story of their history check it out here. Berger Bullets only uses the highest quality copper and lead, this ensures the elimination of impurities and material issues. To guarantee the consistency of the bullet, all cores and bullets within a lot at Berger are created with one die that is specifically designated for that bullet. The same die is used again for all lots until it wears out. In addition, all tooling is precisely made to the dimensional tolerances of .00005, this is one of Berger Bullets uncompromising standards. Above all, Berger will go through any effort in resolving an issue of quality once it is determined that a bullet or bullet lot is bad. The quickest way to find this sweet spot is to load ammo at four different COAL. Start with a COAL that allows the bullet to touch the rifling. The next COAL needs to be .040 off the lands. The third COAL needs to be .080 off the lands. The last COAL needs to be .120 off the lands and one of these COAL will outperform the other three by a considerable margin. It has been reported that the VLD bullets don’t group as well at 100 yards but get better as the bullet “goes to sleep” at further ranges. We have learned that by doing the four COAL test you will find a COAL where the VLD bullets will group well at 100 yards. Once the COAL that shoots best is established you can tweak +/- .005 or .010 to increase precision or you can adjust powder charges and other load variables. Frankly, those who do the four COAL test usually are happy with the results they get from this test alone. In conclusion, here at Bullet Central we have a large line up of Berger Bullets at competitive prices. If you don’t see your favorite bullets here, just give us a call at +1 701 371 4444 and we’ll try our best to get you exactly what you need. Extreme Outer Limits YouTube Channel has posted a small playlist on Berger Bullets that includes information and tips. Hello Joe! Currently we only sell jackets in calibers of 6mm, 6.5mm, and .30 cal in Hines, Sierra, and J4 Jackets.